KANSAS CITY, Mo. 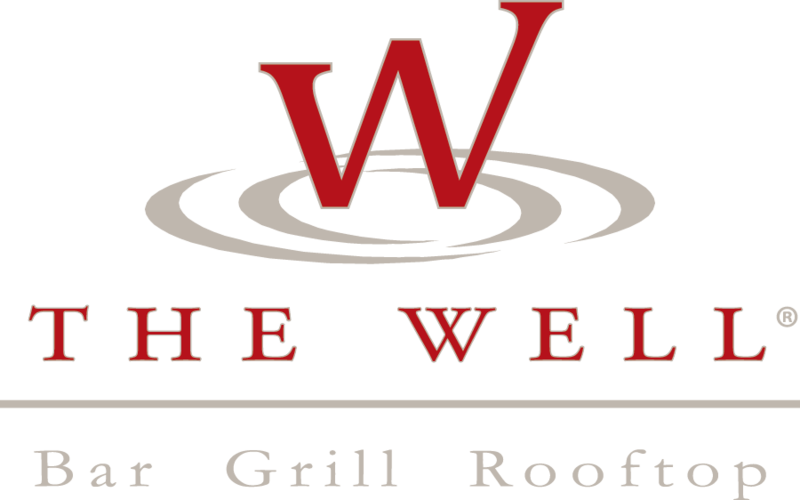 (Dec. 16, 2016) – The Well Bar, Grill & Rooftop is throwing a New Year’s Eve Bash on Saturday, Dec. 31 from 7 p.m. – 3 a.m. Tickets are available at the door for $10 and include three acts of live entertainment, a midnight champagne toast and a rooftop view of the Waldo Ball Drop. Live entertainment includes DJ Vinyl Richy, DJ Ashton Martin and DJ Gar-V, all performing from 9 p.m. – 3 a.m. in separate areas of the restaurant. The Well’s rooftop is covered and heated and will be open to all guests. The annual Waldo Ball Drop with Mayor Sly James will take place at midnight at the southeast corner of 75th Street and Wornall Road. Limited VIP table reservations are available. VIP table reservations must arrive by 7:30 p.m. and a minimum food and drink purchase of $25 per person is required. Reservations can be made by calling The Well at (816) 361-1700. A few private event spaces at The Well are available to reserve. Contact Kim Ryan at (816) 255-3341 or kim@waldowell.com for details. For more information about The Well, follow The Well on Twitter at @WaldoWell, “like” The Well on Facebook at www.Facebook.com/TheWellBarGrillRooftop, and follow The Well on Instagram @WaldoWell. You can also visit www.waldowell.com, or call The Well at (816) 361-1700. The Well Bar, Grill & Rooftop, known by locals as simply “The Well,” opened its doors in Kansas City’s historic Waldo neighborhood in August 2009 at 7421 Broadway St. Combining an urban feel with the casual atmosphere of a neighborhood bar, The Well is a unique, multi-level restaurant with open-air windows and an expansive, all-season rooftop patio, one of the Kansas City’s largest outdoor dining options. The Well is open seven days a week, 365 days a year, offering guests a chef-driven menu featuring fresh seafood, made-to-order pastas and dry-aged ribeye steaks. Lunch and dinner are served daily until 10 p.m. and a condensed, late night menu starts at 10 p.m. until 11 p.m., Monday – Thursday, and until midnight on Friday and Saturday. Happy Hour is offered from 3 – 6 p.m., Monday – Friday. Breakfast is served on Saturday starting at 10 a.m. and The Well’s popular six-station brunch buffet is served every Sunday from 10 a.m. – 2 p.m. and includes Kansas City’s largest Bloody Mary bar.